Shopping for Spider-Man Pop! Vinyl Figures? Doctor Octopus gets the Pop! Vinyl treatment! 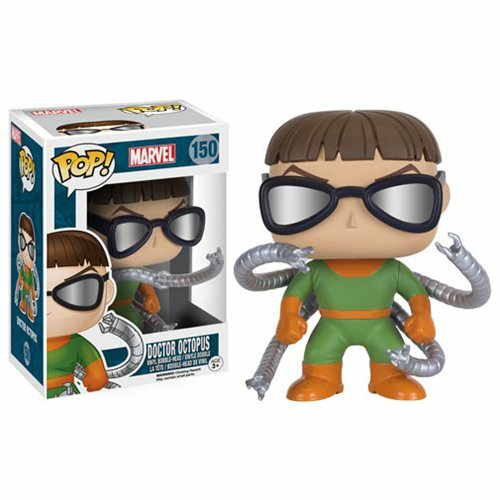 The Spider-Man Doctor Octopus Pop! Vinyl Figure features Spider-Man's dangerous foe in his iconic orange and green outfit. This figure measures about 3 3/4-inches tall and comes packaged in a window display box. Ages 3 and up.